Definition at line 39 of file ndr_contexthandle.c. Definition at line 41 of file ndr_contexthandle.c. Referenced by ndr_update_context_handle(), and RpcSmDestroyClientContext(). Definition at line 43 of file ndr_contexthandle.c. 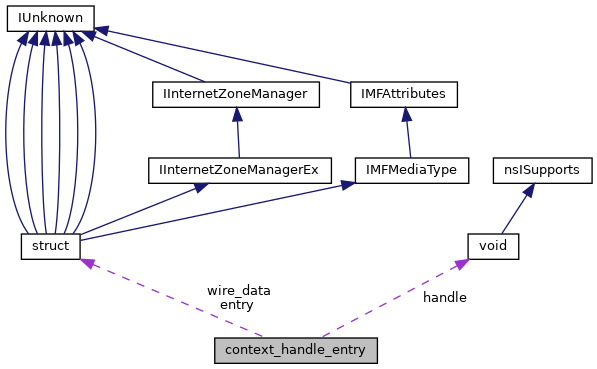 Referenced by ndr_update_context_handle(), NDRCContextBinding(), and RpcSmDestroyClientContext(). Definition at line 42 of file ndr_contexthandle.c. Referenced by get_context_entry(), and ndr_update_context_handle(). Definition at line 44 of file ndr_contexthandle.c. Referenced by context_entry_from_guid(), ndr_update_context_handle(), and NDRCContextMarshall().